Let’s reclaim the practice of discipline as self-empowering versus self-punishing. Clarify your intentions from your heart, create a tool to keep yourself committed, and find accountability in community. We'll take time to be creative in circle, bring awareness to the visions of our best lives, & practice mindfulness while creating commitment charts that will set us up nicely for an even more disciplined and empowered new year. This workshop is open to all self-identified women, thank you for honoring this safe space. Expressive arts includes expressive drawing, writing and body movement. It’s purpose is to create awareness and space between you and your thoughts, positive or negative, and process your inner landscape without necessarily ascribing words or rational to it. Creating with expressive arts comes from our core and is a personal and emotional process without regard to writing, drawing or dance conventions like spelling, punctuation, and technique, posture, etc. It's an invitation to turn off your inner critic and simply expresses what is on your mind and in your heart. Mindfulness is the basic human ability to be fully present, aware of where we are and what we’re doing, and not overly reactive or overwhelmed by what’s going on around us. We all already have the capacity to be present, and it doesn’t require us to change who we are. But we can cultivate these innate qualities with simple practices that are scientifically demonstrated to benefit us in many ways. 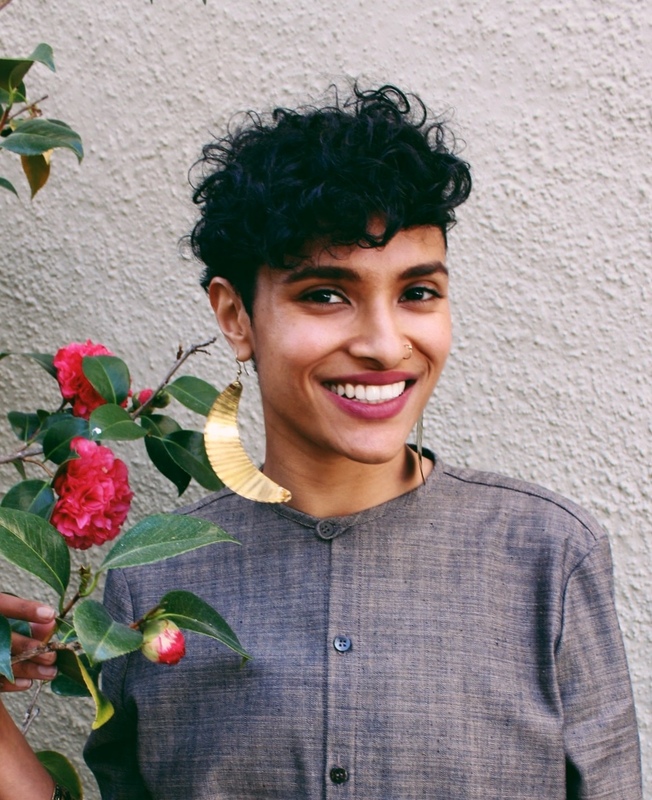 Chetna is a mixed media artist and mental wellness mystic. She's passionate about the power and healing of creative expression. Themes in her art, study and life include psychological reflection, affirmations, shadows, self-care and self-empowerment, collective consciousness and oneness with Mother Earth. She has a Master's in Counseling Psychology from the Wright Institute in Berkeley. She's facilitated creative workshops in academic-based contexts with adolescents and young adults, and with multigenerational and multicultural adults in intimate retreat and studio settings.